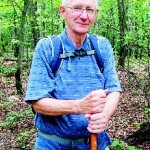 This article explores various activities for the elderly while on a camping trip. Seniors who get out and socialize lower their mortality rate, and improve their overall health. 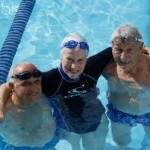 Just because you get a little older, does not mean you can not still enjoy life and many outdoor activities. Let’s explore four things you can do to continue to enjoy life in these golden years. 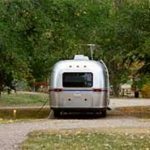 Many parks and campgrounds are close to lakes that offer excellent opportunities for fishing. This is a great activity since it does not require strenuous action or efforts. Just grab your cane pole, a little bait and your off to catch the big one. Although you may not be able to hike or backpack down the hard trails, you can do some walking. Taking a stroll through the park or alongside the lake can offer a change to observe the beauties of nature while getting a little exercise too. While the number of games to play is almost endless, you should engage in games that your fellow campers enjoy too. Playing cards, Domino’s, board games or word games will keep you occupied, engage your mind and offer a good time for all. Making meals is a great activity for your fellow campers. Roasting the weenies for the kids or grilling burgers for the adults, preparing the meals for family and friends brings a sense of well being to ones self. Bring along a grill or start a campfire and prepare whatever meals you and the family want. 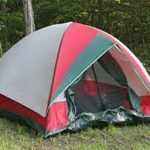 These are just a few things you can do while on your next camping trip. Set up a camping trip for you and a group of friends or family and see just how much fun the outdoors can bring.